MARK R. JONES is an eighth generation South Carolina native and quite possibly his own second cousin. He enjoyed college so much it took him seven years to complete his studies. He finally realized that taking history and literature classes by day, while becoming an expert on rum consumption by night, made him qualified to do absolutely nothing … so he became a writer and a Charleston tour guide. Book Mark for an event. Jones immediately carved his own niche in Charleston tourism by researching a topic that had long been neglected by other historians:SIN, MURDER & SCANDALS! In four years Jones researched and wrote four books, including the wildly popular Wicked Charleston volumes. 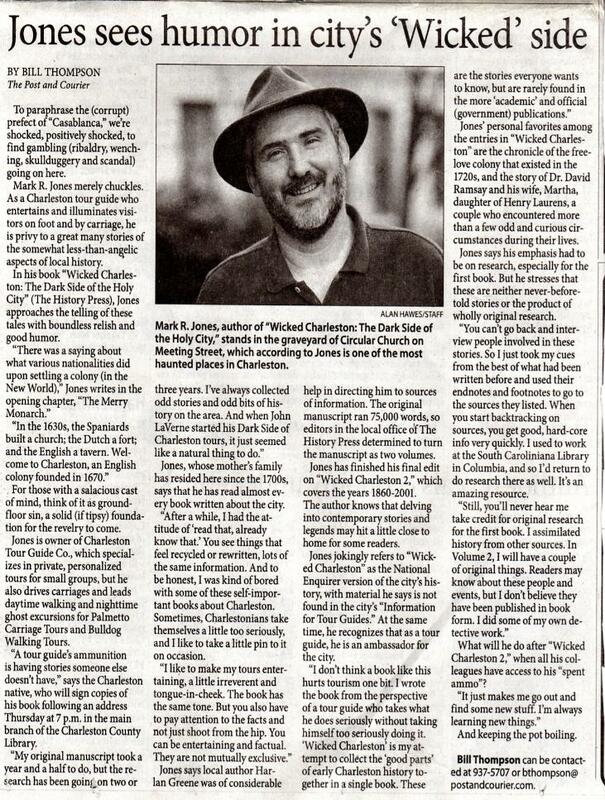 In 2006 Jones turned his love of Charleston’s history into a full time career. With his wife, novelist Rebel Sinclair, he operates Black Cat Tours, offering day and night time walking tours which specialize in showing people the OTHER side of America’s Most Historic City. Doin’ the Charleston presentation @ the South Carolina State Library during Black History Month, 2013. A frustrated musician most of his life, Jones spent five years researching and writing Doin’ the Charleston: Black Roots of American Popular Music & the Jenkins Orphanage Legacy, The books covers what Jones calls, the “greatest untold story in South Carolina history” and is his small contribution to the preserving the gospel of jazz. Jones has been featured on MSNBC, CMT, NPR and in the New York Times. He was featured on the show “A Crime To Remember” (Investigative Discovery) in 2015. He has also been a guest on the nationally syndicated radio show, Speaking of Strange, hosted by Joshua P. Warren and a guest on NPR’s Michael Feldman’s Whad’ Ya Know? Mark was featured in the award-winning Phantoms of History TV show. He is a popular lecturer for corporate and civic groups. 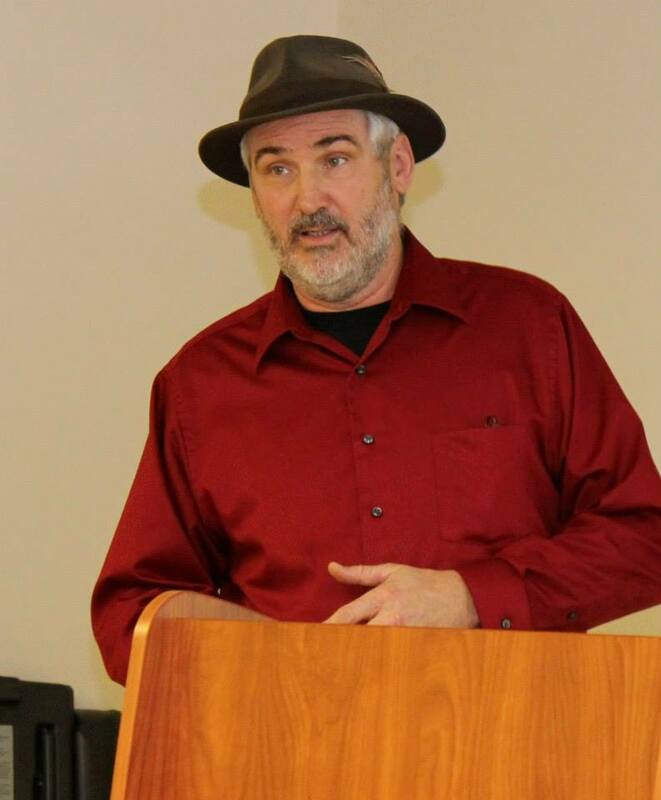 He also conducts history-based presentations across South Carolina dealing with subjects such as: Confederate Charleston, Charleston jazz, murder, scandal and haunted history.